Install in wooden legs to help smoothly move furniture over flooring. 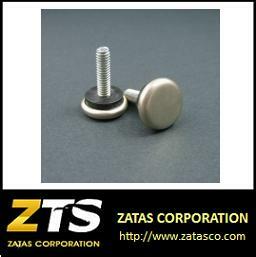 For the past 2 decades, Zatas Corporation (ZatasCo.) has been one of the leading manufacturer specializing in the design, production, assembly, and packaging of high quality lathing products, hand tools, furniture accessory, fasteners and others. Using quality materials and controlled manufacturing processes, our unique concept enhances your success in selling quality and personalized products. ZatasCo., with its personalization concept, is able to create new innovative designed products, based on customer and market requests.